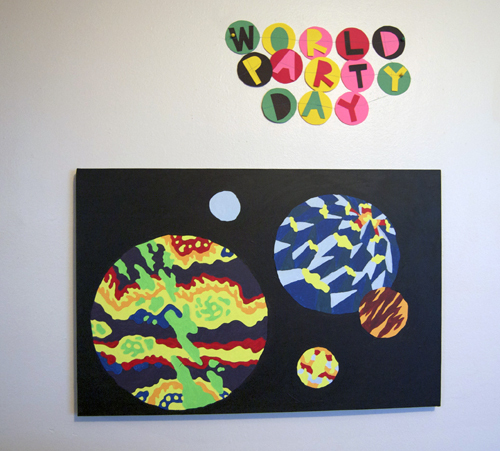 We’re heading down south today for Glade Hensel’s quick tutorial on how to make a simple paper banner for World Party Day! It’s so easy, you can’t afford not to do it! 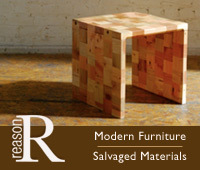 Glade is an artist and designer working in Austin, Texas. Visit her blog or check out her Etsy for her colorful, quirky embroidered and printed cards! Thanks Glade! 1. Stack your sheets of paper and draw 5 circles on the top sheet by tracing around your circular object. 2. 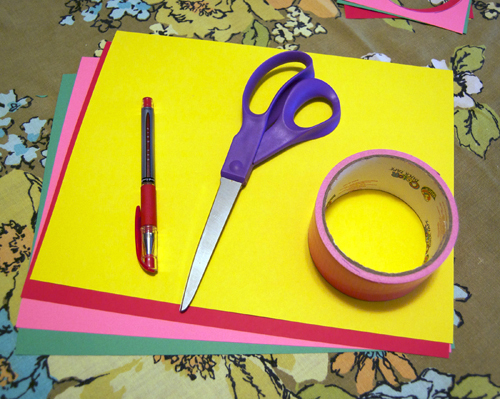 Cutting all sheets at once, cut where you drew your 5 circles leaving you with a total of 30 circles. You will have a few extras in case of mistakes. 3. Lay out 13 circles that you will use for the “background circle” of each letter of the banner. 4. 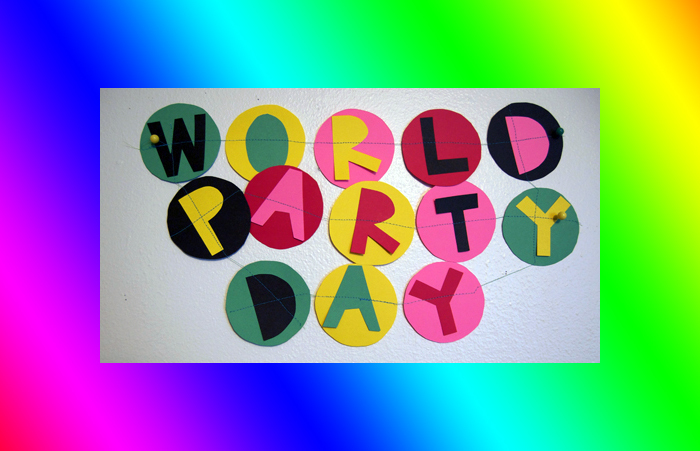 Cut out each letter for “WORLD PARTY DAY” out of the leftover circles. I cut each letter freehand, because I like the way it looks, but feel free to draw the letter on each circle before cutting. 5. Use your sewing machine to stitch each letter to it’s background circle, no need to stop sewing in between, just sew the whole banner all at once! Tie the ends of the leftover thread, and it’s ready to hang! This entry was posted on March 26, 2012 at 1:03 am and is filed under ART, BIG NEWS, COLOR, COOL STUFF, DESIGN. You can follow any responses to this entry through the RSS 2.0 feed.